QQ - Shortwriting for someone who is crying, a Q, representing a tear coming from an eye. Queue - The place where half the World of Warcraft Players have been around 16-Nov-2015. My last post made it clear, the Queue was there. Now, I was expecting queues. The last few weeks it sometimes popped up on Argent Dawn. But I was not expecting what would happen with Warlords. 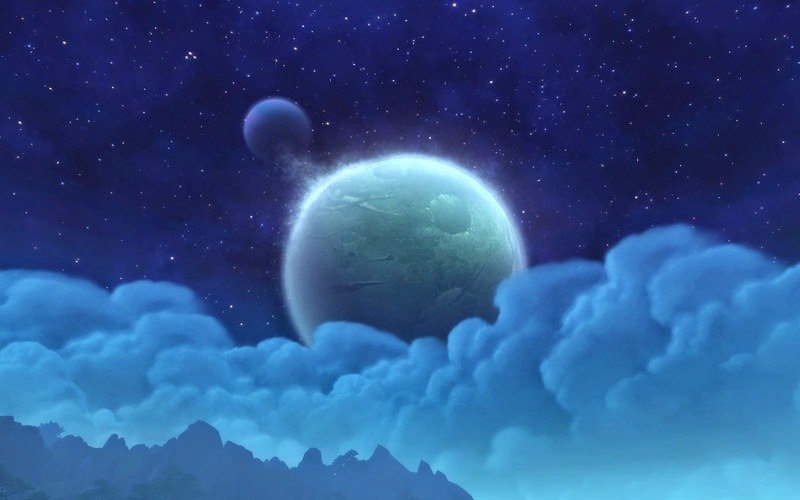 So, here is my recap of the first days of Warlords of Draenor. I was home at around 15:33, and I hit the queue. More then 1500 before me, and it took me about 90 minutes to get in. Not that bad actually, a little longer then I expected, but not that bad. Later on I heard horror-stories of the queue, but well, I was in. I did the normal thing, building garrisons, doing quests, around 21:00 the game couldn't handle it anymore. 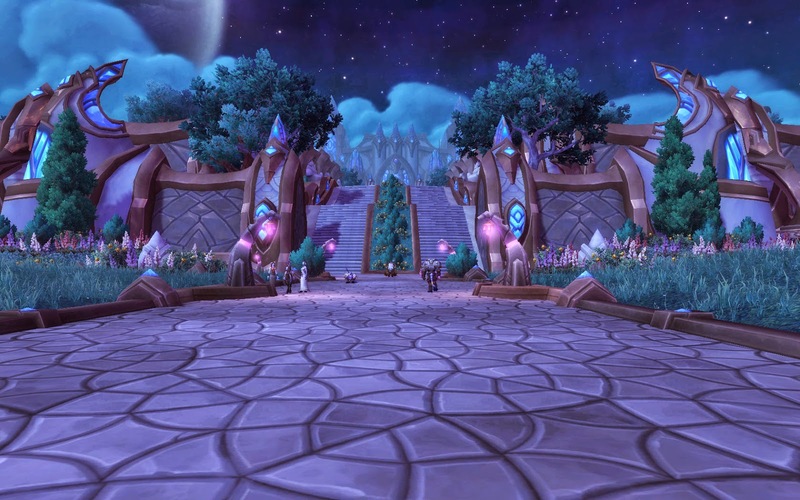 Before that, there where some problems with the garrisons, but at the end of the night, there was no NPC to be seen in the whole of Shadowmoon valley. I ended the night at around 91.7 level. I did log in on all Alliance characters to start the rested-buff. The queue dropped rather quickly to around 1300 people (2 hours in), but after that..well... about 1 per minute was the droprate.... around 22:00 I quit, and went to bed. I again tried to log in early, before I had to go do some moving-stuff. But I hit the maintenance, so no garrsion-updates for me. When I returned in the evening, well.... I did put myself in... but I stopped somewhere. I was an early bird, at around 6 in the morning I logged on, and didn't leave before 22:00, when I fell sleeping of my chair. Because of lost time, and all the alts that will follow, my mind entered levelling-stage. I did register what the Lore was about, but mostly it was about orcs, and shadowcouncil stuff. At the end of the day, Mardah was 98-something, about to enter Nagrand. During one of the many hickup, I got my Scribe, Tiramuria the Rogue, her own garrison, including a level, and a scribe-building. Again, a pre-work-garrison-thingie... I returned at around 16:00, had a queue of 20 minutes!! ans started the last bit in Nagrand. Around 20:00 the server borked with garrisons, so I got my tailor/enchanter, Verulani the Shaman, her garrison, sans the buildings though. The idea for this is that the passive resource-gathering from your chest is happening. 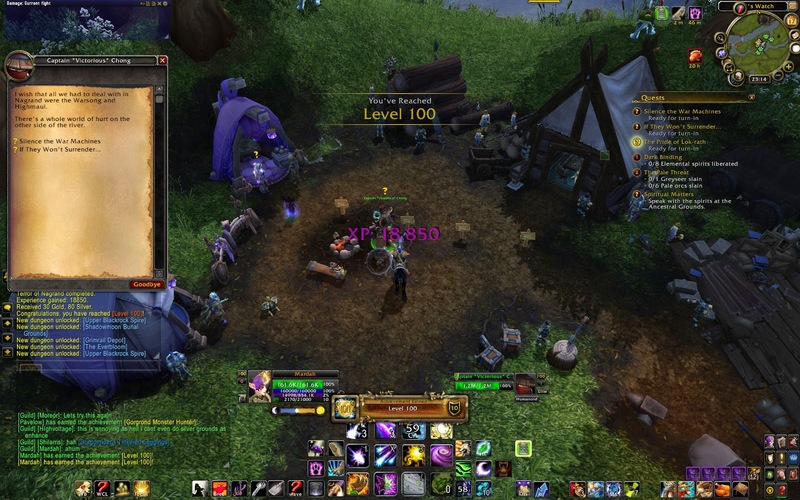 At around 22:30, Mardah was done, reaching level 100. The next two hours where clean-up time. Lvl3-garrison was founded, some new buildings, a quick trip to the Proving Grounds, where Mardah got silver without much hassle, and off to bed.